The firm’s attorneys regularly write about community association issues and serve as sources for the South Florida media. On Nov. 14, Laura Manning-Hudson, a partner in our West Palm Beach office, was featured by the local CBS affiliate for Palm Beach County in a story about how local condominium and homeowners associations deal with dangerous breeds of dogs. 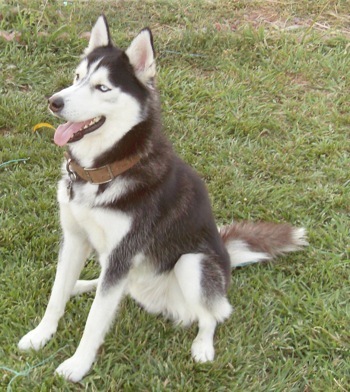 According to the owner of two Siberian Husky dogs, the condominium association she lives in, which our firm does not represent, indicated that the dogs’ breed was on its list of dangerous breeds that are not permitted in the community. A Siberian Husky is pictured below. In Laura’s interview with the reporter from WPEC News 12, she is quoted discussing the importance of looking to the association’s governing documents in order to determine the association’s pet-restriction capabilities and protocols. Laura goes on to explain that for issues involving dangerous dogs, the problems usually stem from an incident involving the dogs in question. Click here to watch the report on the station’s website.